Interesting alternative to spend some time swimming in Edinburgh. Is it not your very first time here? Tell us how it went using the Facebook comments below or contacting us directly! 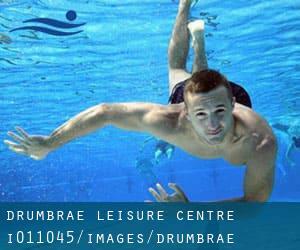 Drumbrae Leisure Centre is only one of all the swimming pools Swimia is offering you, and its info has been shared with us by a swimmer like you.Remember you may now promote Drumbrae Leisure Centre by sharing this page with your friends, adding comments and linking to us. This sports centre offers 25 meters, 5 lanes, Indoors. Contact details for this Swimming Pool for instance phone number and e-mail address are number. Updated on 2019 Glenogle Rd. , Stockbridge , Edinburgh , Scotland , UNITED KINGDOM (Postal Code: EH 3 5JB). Swimmers like you reported 25 yards, 5 lanes, Indoors. Phone number and email address are number for this Pool. Updated on 2019 29 Caledonian Crescent , Edinburgh , Scotland , UNITED KINGDOM (Postal Code: EH11 2AL). This sports centre delivers 25 yards, 5 lanes, Indoors. Contact information and facts for this Swimming Pool like phone number and email address are number. Updated on 2019 22 Gracemount Drive , Gracemount & Liberton , Edinburgh , Scotland , UNITED KINGDOM (Postal Code: EH16 6RN). This sports centre offers 25 meters, Indoors. Contact information for this Swimming Pool such as phone number and e-mail address are number. Updated on 2019 5 Murrayburn Drive , Edinburgh , Scotland , UNITED KINGDOM (Postal Code: EH14 2SU). Swimmers like you reported 25 meters, 4 lanes, Indoors. Unfortunately we do not have the email address of this Swimming Pool, but we can give you the phone number. Updated on 2019 21 Dalkeith Rd. , Newington , Edinburgh , Scotland , UNITED KINGDOM (Postal Code: EH16 5BB). Swimmers like you have reported Olympic size, 2 meters depth, 2 meters depth, Indoors. Also, you will find 25 meters, variable depth teaching pool, Indoors. If you need to contact this Swimming Pool, email address and phone number are both number. Updated on 2019 1 Festival Square , Edinburgh , Scotland , UNITED KINGDOM (Postal Code: EH 3 9SR). This sports centre delivers 19 meters x 6 meters, Indoors. Contact information and facts for this Swimming Pool like phone number and email address are number. Updated on 2019 15 Bellfield St. , Portobello , Edinburgh , Scotland , UNITED KINGDOM (Postal Code: EH15 2BR). This sports centre offers 25 yards x 10 yards, 5 lanes, Indoors. For this Swimming Pool, only phone number is number here. 113 Main Street , Newtongrange , Scotland , UNITED KINGDOM (Postal Code: EH22 4QR). This sports centre delivers 25 meters x 10 meters, 4 lanes, Indoors. Contact data for this Swimming Pool just like phone number and email address are number. Updated on 2019 Junction Place , Leith , Edinburgh , Scotland , UNITED KINGDOM (Postal Code: EH 6 5JA). Swimmers like you reported 25 yards, 5 lanes, Indoors. Phone number and email address are number for this Swimming Pool. 111 Glasgow Road , Edinburgh , Scotland , UNITED KINGDOM (Postal Code: EH12 8NF). Among all the activities offered by the centre, if you are interested in swimming you are going to enjoy 17 meters x 14 meters, Indoors. Just in case you desire to get in touch with this Swimming Pool before dropping by, we only know the phone number. St. Leonard´s Land , Holyrood Road , Edinburgh , Scotland , UNITED KINGDOM (Postal Code: EH 8 9TJ). Swimmers like you reported 25 meters, 6 lanes, 2 meters maximum depth, 2 meters maximum depth, Indoors. Unfortunately we do not have the e-mail address of this Swimming Pool, but we can give you the phone number. 89B Glasgow Road , Edinburgh , Scotland , UNITED KINGDOM (Postal Code: EH12 8GZ). Swimmers like you reported 25 meters x 13 meters, Indoors. Unfortunately we do not have the email address of this Pool, but we can give you the phone number. Updated on 2019 Thirlestane Rd. , Marchmont , Edinburgh , Scotland , UNITED KINGDOM (Postal Code: EH 9 1AP). This sports centre gives 25 yards, 5 lanes, Indoors. Contact information for this Swimming Pool for instance phone number and e-mail address are number.